Kajol to praise hubby Ajay Devgn for parenting skills! Bollywood star Kajol essays the role of an overprotective mother in her next titled Helicopter Eela which also stars Riddhi Sen as her onscreen son and is helmed by Pradeep Sarkar. 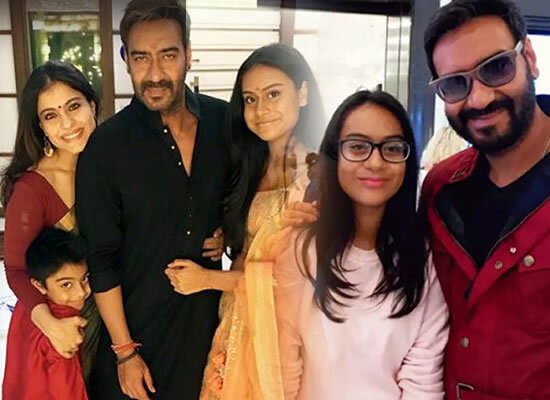 In real life, Kajol and Ajay Devgn are blessed with two children Nysa and Yug. At the trailer launch of Helicopter Eela, Kajol was all admirations for her husband who became a stay-at-home father for a few weeks, as she was busy shooting for the movie. The actress also stated that in today's times, it is not just the mother but fathers too are actively involved in their children's lives. Kajol revealed, "I think Helicopter Eela has come at the right time because when you talk about parenting, it is not necessary that only the mother teaches her children. It’s beautiful and wonderful that now many fathers are actually getting involved in their children’s lives. They are loving and enjoying it for a change. I have to say that during Helicopter Eela, when I was shooting or I was out of town, Ajay made sure that he was in town to take care of our kids and put them into their beds. I think that’s what today’s parenting is all about." Helicopter Eela is scheduled to release on September 7, 2018.